Christian Legault returns with a new concept for a certain future NHL expansion team — the Seattle Totems. I'll be honest: I'm not a fan of the name. But the overall look isn't bad at all. I'm back!! After a not-so-short 90-day break, it's time to brush off the dust and get the Concepts page rolling again. And since I last posted, a lot has happened up here in Seattle. 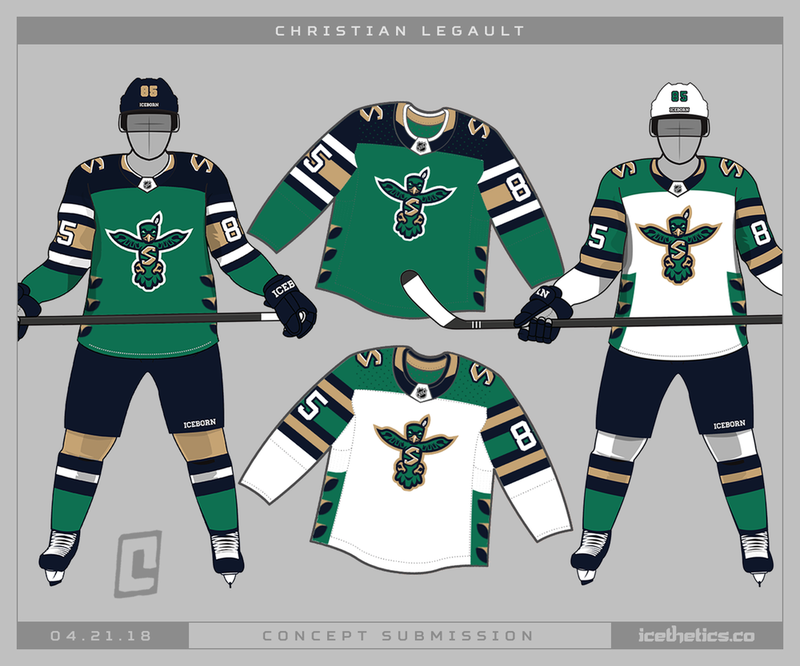 I'll get to that soon enough on the blog, but for now check out this incredible concept for the NHL's future 32nd franchise as designed by the talented Christian Legault! And here's a close look at the logos. 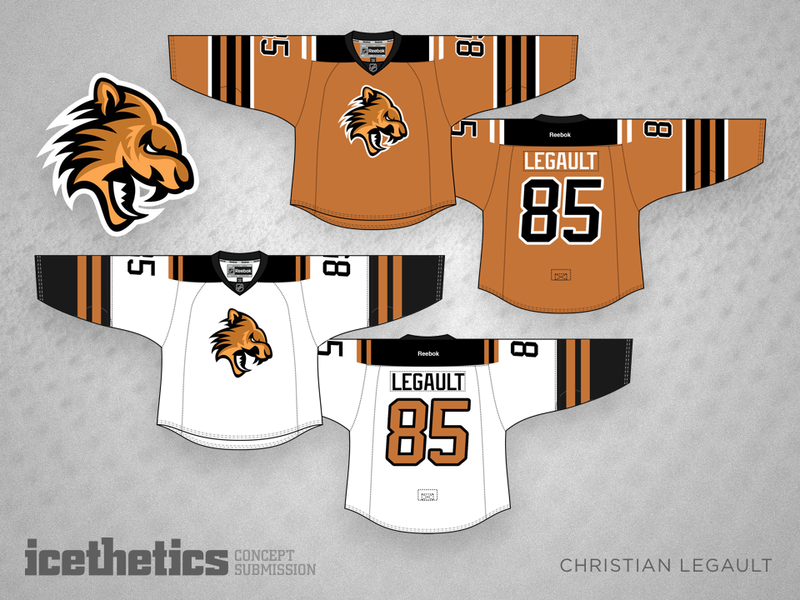 Christian Legault is back with a fun redesign for the New York Islanders. We wrap up Christian Legault's five-week NHL expansion series today with four more teams. Check out the Halifax Schooners, Milwaukee Pike, Portland Mountaineers, and Hamilton Beasts. While expansion may not currently be in the cards for any of these cities, the artwork is brilliant. Well done, Christian! 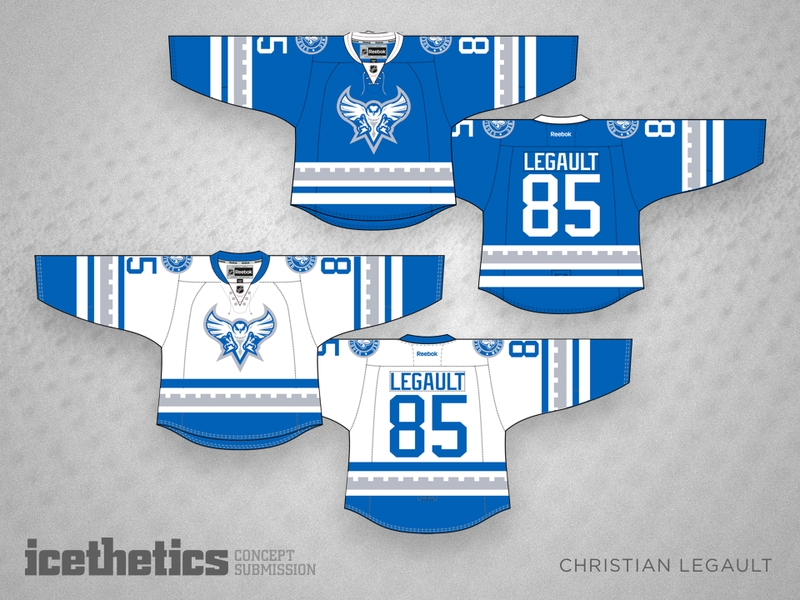 Christian Legault has taken over our Saturday concept posts for a few weeks. After tackling Las Vegas, Seattle and Kansas City, he's trying his hand at Quebec today. What do you think of his new take on the Nordiques? If the design looks familiar, its actually Christian's third version since August and December last year.